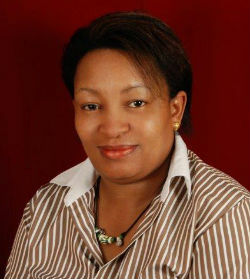 TanzaniaInvest conducted an exclusive interview with Maryanne Mugo, Chief Executive Officer of First Assurance Tanzania. TanzaniaInvest and Mrs. Mugo discuss the current status of the insurance sector in Tanzania, the opportunities available and First Assurance ambitions in Tanzania and in the region. TanzaniaInvest: First Assurance is originally a Kenyan insurance company. Why did you decide to enter Tanzania in 2010? Maryanne Mugo: First Assurance is one of the biggest insurance companies in Kenya, and because of the opening up of the East African Community (EAC) we found that we had clients in Kenya who had operations in Tanzania. Because one of the goals of First Assurance is to spread its operations in the East African region, we decided to open a subsidiary in Tanzania to serve our clients across the border and grow our business. Tanzania was the first step in our expansion and we are now looking at entering Uganda and Zambia, but it was actually easier to open up in Tanzania. In Uganda there were a greater number of hurdles to jump over before we could manage to enter the market so we abandoned the venture. TI: What is your focus in Tanzania, what insurance services and products do you focus on? As a new insurance company it is easier to market your products through brokers and agents. Today 75% to 80% of our portfolio comes through brokers. Hence our focus is on the brokers, although we also have a number of agents. TI: After three years of operation in Tanzania, what in your opinion are the challenges in marketing your products in this market? MM: Insurance being a service industry, the settling of claims is a key aspect for consumers in selecting their company. Maybe due to previous experience with insurance companies it takes time for consumers to gain confidence with a new insurance company. So they wait and watch and see how a new company is conducting its business. But slowly, after our performance over 3 years, we have seen substantial growth because brokers have become familiarised with the services that we provide. Those who have not been dealing with us previously have now started to do so because they have heard about our products and service. In 2011 we doubled our turnover, in 2012 our growth was 45%, in 2013 our growth was about 40% and in 2014 we expect to grow by 35%. TI: Considering that 80% of your business comes from brokers, is brand recognition something of interest to you? MM: Yes it is, since in selecting an insurance company you need to know the people and have confidence that the company you are insuring with will respond to you if you are faced with a claim. If something happens to your business operations, you want to deal with a company that will settle the claim in the shortest time possible. TI: If you had to make an assessment of the perception of your brand in Tanzania what would it be? MM: I believe that the First Assurance brand is well understood and well accepted in the Tanzanian market. When we started in 2010 we had less than 10 brokers selling our products; now we have about 40 and every year new brokers are coming and asking to do business with us. TI: According to the Tanzania Insurance Regulatory Authority (TIRA), the industry has over 70 insurance brokers and 27 insurances companies. In your opinion is the market close to being saturated or is there still room for newcomers? MM:There is still room in my opinion because if you look at the insurance penetration rate in Tanzania – how many of the population have bought insurance products – this is still below 1%. To give you a perspective, in Kenya this is about 3% and South Africa it is about 15%. So there is still room for insurance companies to reach more and more Tanzanians. In South Africa if you go into any major town there is an insurance office for insurance but in Tanzania you will only find such offices in major towns and cities such as Mwanza, Mbeya or Dar es Salaam. But Tanzania is a very big country compared to other East African countries, so because of the widespread area of Tanzania and the cost of opening a branch, most insurance companies have opted to just be at the head office in Dar es Salaam. A few have opened branches, but there is a lot of potential in rural areas. The Tanzanian Government has been promoting agri-business, so there are a lot of opportunities in this field, as there are very few if any Tanzanian insurance companies doing agricultural insurance. The Government is also committed to micro insurance, which involves insurance for low income earners. TI: To conclude, as a Kenyan who has lived in Tanzania for 3 years now, how would you explain what is going on in this country in terms of business and investment? MM:It is not difficult to do business in Tanzania. There are massive opportunities. The Tanzanian economy is growing. If you look at the Government focus on agriculture, infrastructure development, road construction as well as oil and gas, these are big opportunities that offer huge potential for investors. Simply because in Kenya there are a total of 47 insurance companies whereas in Tanzania there are only 27, so there are less companies to share the insurance cake in Tanzania.